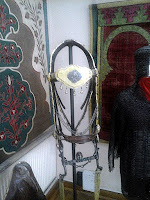 when I went to the Polish Army parade in Warsaw I took the opportunity to visit several museums in the capital of Poland. 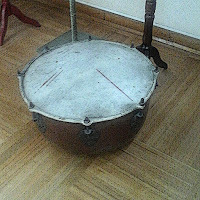 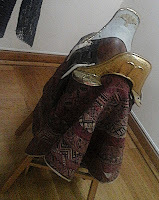 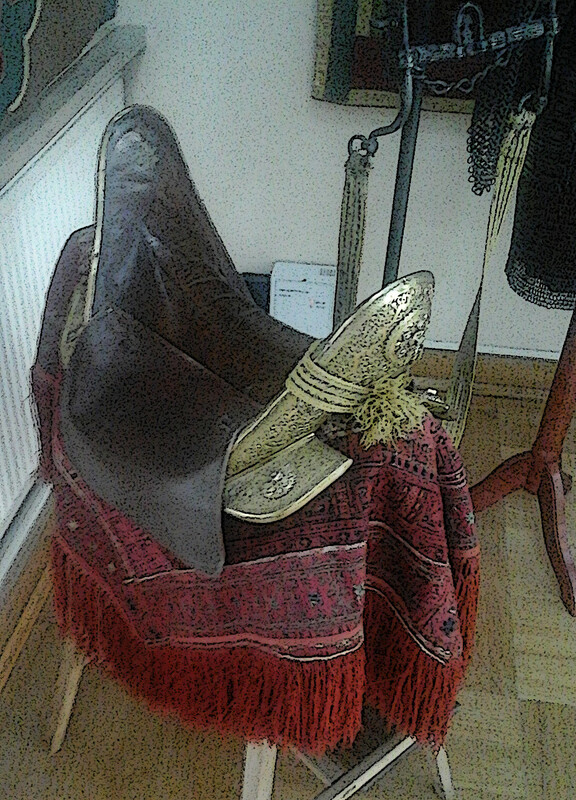 I wrote about my trip to the Wilanow Palace Museum already, but today i would like to share with you several pictures, taken with my phone - sorry for the poor quality, of historic saddles displayed there. 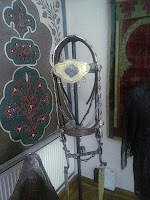 First saddle was displayed with a bridle with a curb-bit and textile reins (wrapped around the saddle's pommel). 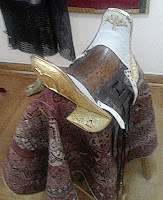 all presumably late XVII -first half of XVIII centuries - the textiles displayed with the saddles are most likely of the Ottoman Turkish manufacture. 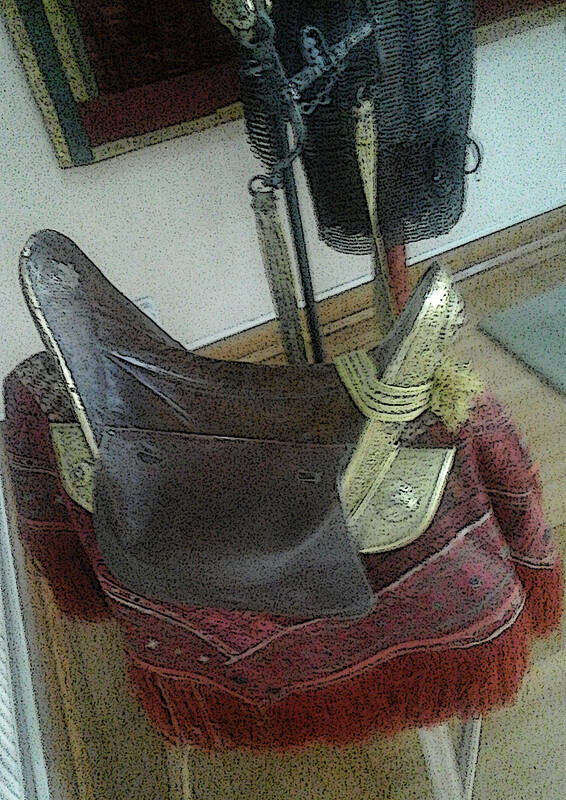 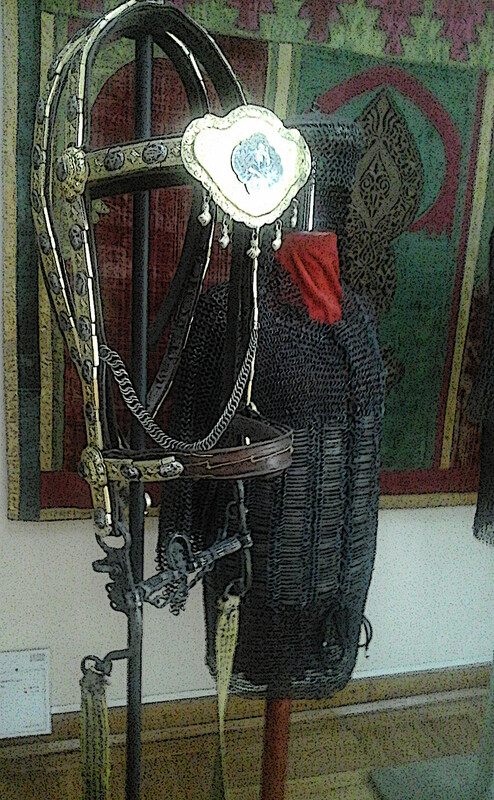 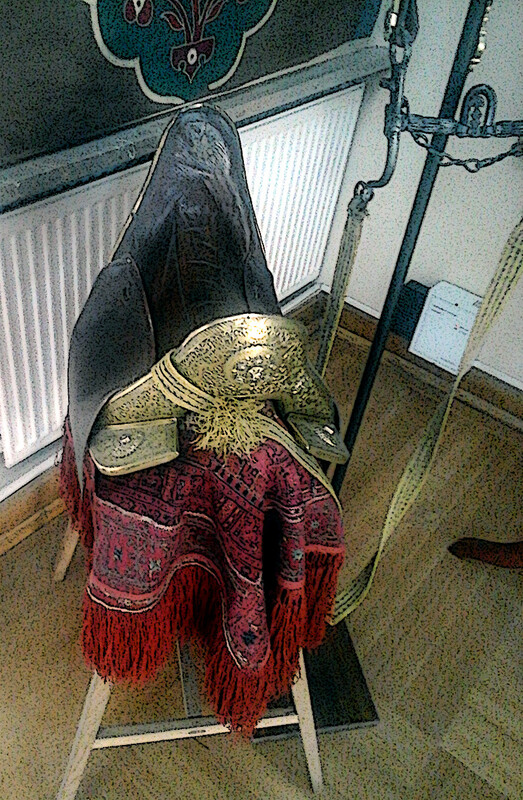 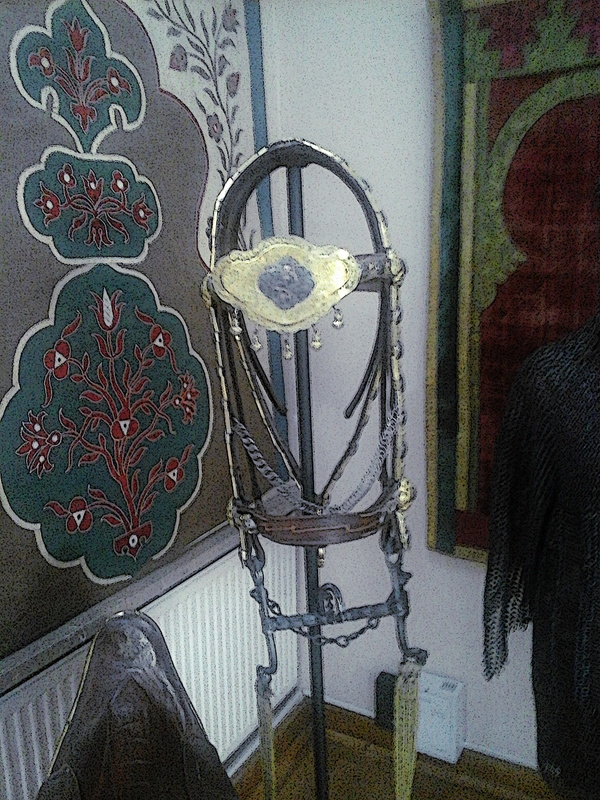 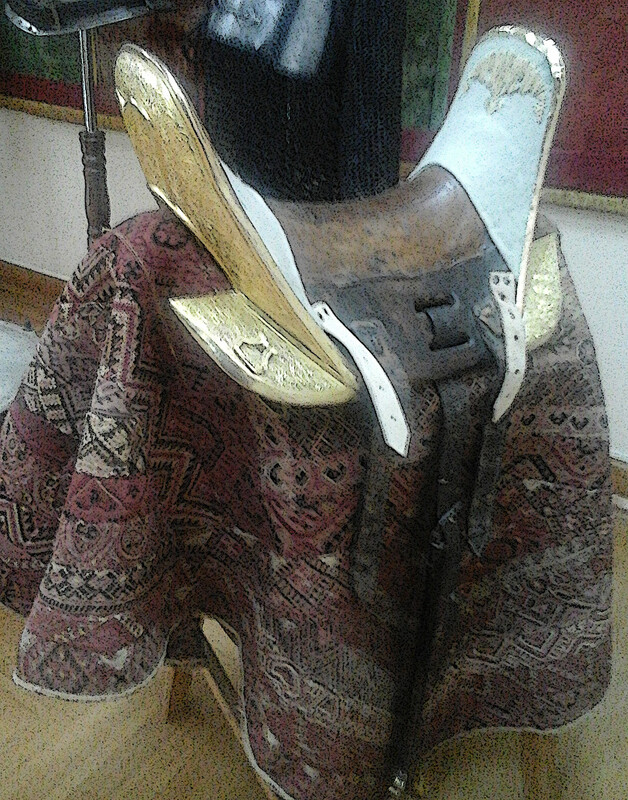 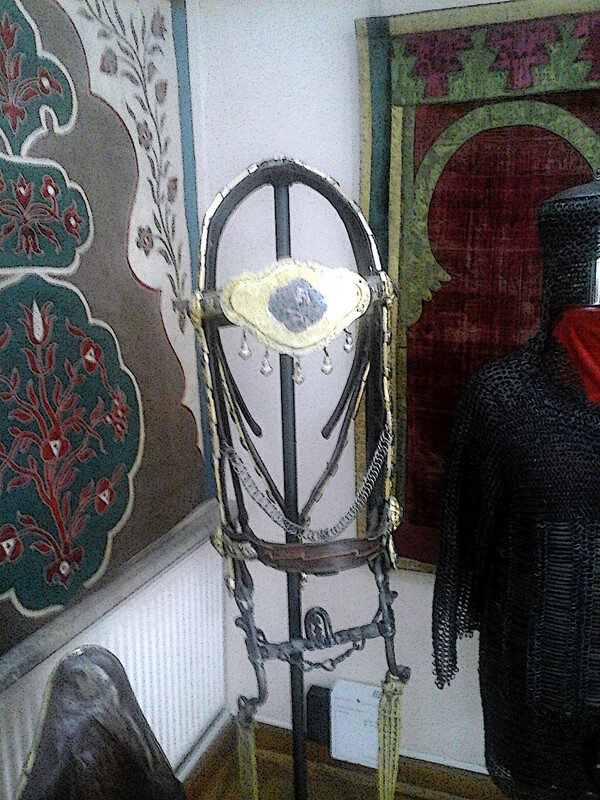 The saddles also show Turkish influence on the Polish horse tack. 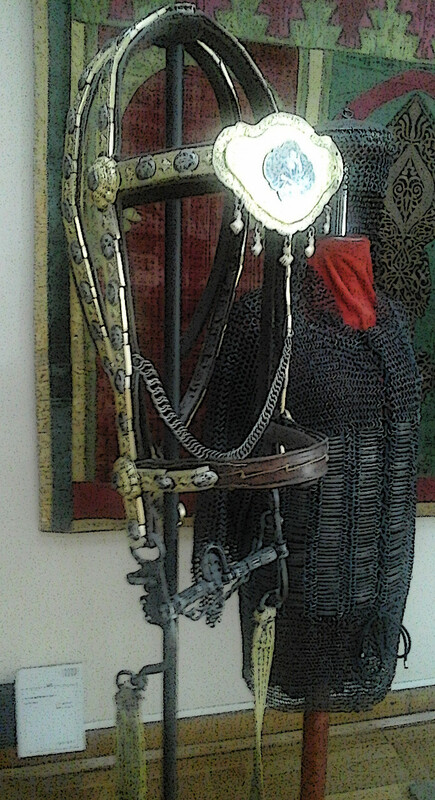 Both saddles are incomplete - without seat pillows, stirrups, cinches and matching bridles, breastplates and croupers.